I've a little change in the IF condition, so it now just checks if current user has a capability only found in super-admin users. Also if it's easier to just hide it for all users, that works too. and add the exact snippet I shared in my previous reply (simply create the /mu-plugins/ folder if it doesn't exist already and don't insert any empty lines and/or spaces on top of file) . I have it as a regular plugin, not MU because I don't want every single user to be affected. I don't want some of my older users to have their checkout setting hidden. Do I need to have it as a MU plugin?? It's a normal plugin currently and it is active on the subsite I'm testing - it's not working though (even when I remove the IF statement). This shouldn't make any difference. I also tested that in my end to confirm this and it's working good. Please ensure that your testing user is an admin in the subsite, but has no super-admin privileges. If this is still an issue for you, could you please attach your plugin's file here in your next reply? Please compress the PHP file into a ZIP one, so you can attach it. Okay I attached the plugin, granted support access and installed the user switching plugin. Please help ASAP! I've made a little test in your installation, as plugin seems to be good. So, I created a new user ("dimitriswpmudev") and a new site ("wpmudev") and assigned that user as administrator of this site. 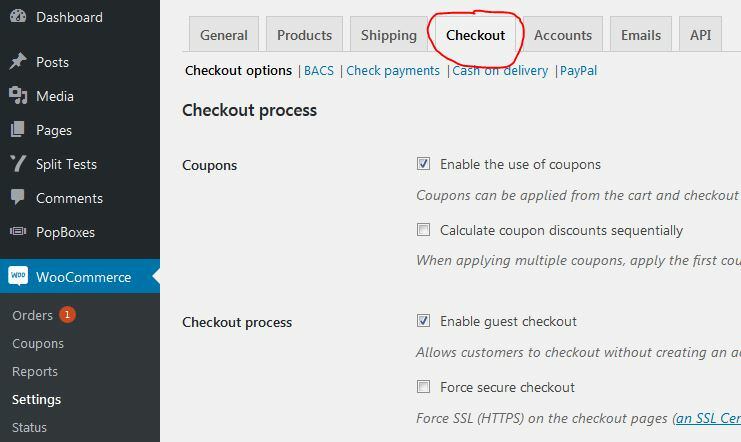 After enabling your plugin in that site, admin user can't see the Checkout tab in WooCommerce settings.